Saturday June 30 v Sherborne Tennis Club at Sherborne. 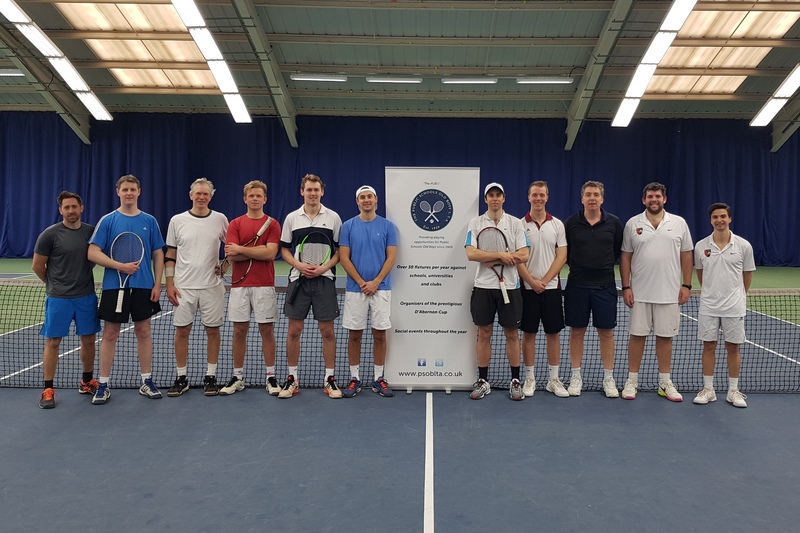 From various corners of the UK (North Yorkshire, Wales, Sussex…) a Pilgrims team gradually emerged to face the School in its annual fixture in early May, taking place in near-perfect playing conditions. The Pilgrims team comprised a healthy mix of experienced and youthful hands: David Leakey, Andrew Crowe, Chris Grant-Peterkin, Richard Bramble, Ed Leakey and James Sewry. It also offered an equally healthy mix of recent practice . It was with a sense of trepidation that Toby MacKean (f, 11) and James Sewry (d, 14) travelled to St George’s College, Weybridge, on Saturday 7 April for the first qualifying round of the D’Abernon Cup. 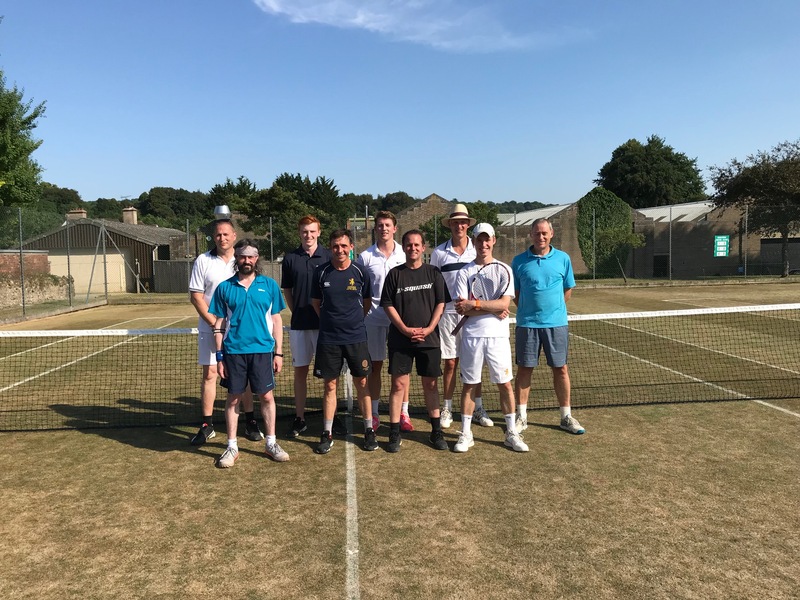 An annual competition run by the Public Schools Old Boys’ Lawn Tennis Association ( PSOBLTA), the D’Abernon Cup consistently boasts a high standard of tennis, and, perhaps, even keener rivalries.